Many of the big issues the world is facing today are fundamentally tied to space and place—they are geographic issues. To grapple with these issues requires a population that can assess and use geographic information to make wise decisions—in short, a geoliterate population. Creating a geoliterate population requires cultivation in three essential areas: core content, geographic tools, and the geographic perspective. Core content. While core content is important, it is often maligned, perhaps because it is often equated with memorization of facts for examinations. Geography’s core content is richer than mere facts—and much of it is systems thinking: ecosystems, and systems of climate, culture, watersheds, oceans, land use, governments, and many more. Core content focuses include learning about natural phenomena such as how ocean currents affect climate, and cultural phenomena, such as sense of place. Geographic tools. Many geographic tools and skills are focused on maps, such as analyzing remotely sensed imagery, using GPS and geolocation, representing the Earth as map layers, and using 2D and 3D data in GIS environments. Others, including assessing data quality, graphing and charting, classifying, collecting, analyzing, and mapping field data, and communicating geographic content, are important skills as well. The effective use of geographic tools is crucial to the cultivation of a geoliterate population, and a fundamental skill is the geographic inquiry process. The geographic perspective. The geographic perspective begins with “spatial thinking”. The geographic perspective represents a certain way of seeing the world. Geographers see the world working through a series of interwoven and changing spatial relationships, operating from the level of chemical bonds in soil, to the distribution of macro invertebrates in a river, to commuting patterns in a metropolitan area, to the ebb and flow of seasonal variation in the temperate latitudes, to how ocean currents affect land climates, and beyond the Earth itself, to Earth-Sun relationships. The geographic perspective seeks to discover why processes and phenomena occur where they do, and includes themes of scale, region, diffusion, patterns, and spatio-temporal relationships. The geographic perspective also includes critical thinking—questioning and investigating where data come from, how to manage uncertainty, how problems are framed, and the scale at which problems are addressed. So how can geography educators, researchers, and practitioners actively promote the inclusion of geographic content knowledge, skills, and perspectives throughout education and society? I offer the following recommendations and welcome a dialogue on the topic. 1. Tie geo-awareness to the need for geography education. A growing awareness of the geographic nature of problems from local to global scales is evident, yet a realization that these issues can be better understood using the geographic perspective seems lacking. The geography community could take this opportunity to explain to the public what geography really is, why it is important, and how it can help society grapple with these issues. As the geographic perspective, content, and skills are becoming more valued by other disciplines on the university campus, geographers can open the dialogue to interdisciplinary pathways of research. 2. Contribute to the dialogue about issues surrounding geo-enablement. Geographers should actively contribute to the discussions that are in the public consciousness about the implications of geo-enablement, such as location privacy and crowdsourcing. They should also demonstrate how geography education can help foster skills in handling and interpreting the deluge of data that ensues from geo-enablement. 3. Emphasize that maps are not just reference documents. Many still regard maps largely as reference documents; that is, solely for looking up where something is. Geographers must demonstrate how maps can be a doorway to discovery about the physical and cultural world and local communities in which we live. 4. Emphasize that digital maps are usually more useful than paper maps. Because of these changes and the increased demand for base data for use in GIS, paper maps are limited; they have been converted into digital form to expand their use for new applications. Geographers can discuss with their students the advantages and challenges of paper maps and digital maps. 5. Emphasize that maps are not just for geographers. Maps are useful to broad sectors of society, such as an epidemiologist studying the spread of diseases, climatologists studying climate change, and businesspeople siting new franchises. Maps are essential tools for studying these issues and for solving real problems. 6. Model effective use of geotechnologies in teaching, research, and other applications. Geographers can use the democratization of geotechnologies to explain why and how skills in using these tools are essential to many careers and everyday tasks. 7. Engage the citizen science community. Geographers can use the energy, expertise, and size of the citizen science community to illustrate why phenomena can be understood more completely when they are mapped. GIS provides a framework that enables the management of the large volume of data generated by the citizen science community. 8. Promote civic engagement. 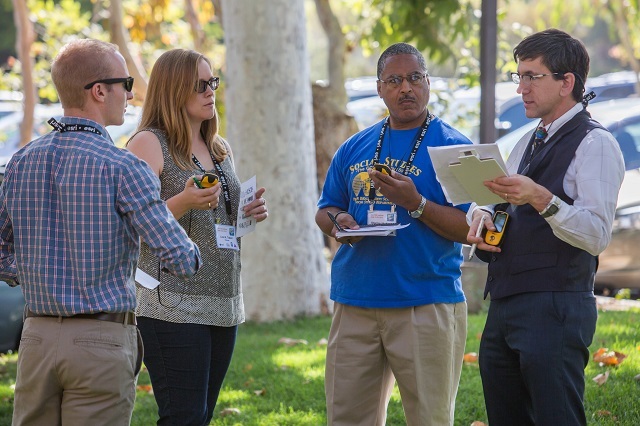 Geographers can use citizen science, fieldwork, and geotechnologies to cultivate a culture of civic engagement, where volunteer efforts are made more visible and local, including students want to contribute to their own community. 9. Tell stories with maps. Geographers can take advantage of the longstanding interest that people have had with maps, and the equally rich tradition of telling stories, to use web-based dynamic mapping tools engage the general public. 10. Focus on change. Nearly all issues and problems have a change component. Because the Earth is changing, a platform to map that change that also is dynamic is the perfect complement, and that is what web based mapping offers. 11. Focus on connections to educational content standards. For the trends identified above to be embraced in educational systems around the world, the activities based on them need to be firmly and demonstrably anchored in content standards. 12. Focus on workforce needs. Focusing on workforce needs helps make education more relevant to society. The Geographic Information Science and Technology’s Body of Knowledge (Dibiase et al., 2007) and the Geopatial Technology Competency Model help guide course planning. The Partnerships for 21st Century Skills (www.p21.org) documents can help ensure that relevant skills are taught in these programs. 13. Focus on career skills. Geotechnologies were identified by the US Department of Labor (Gewin 2004) as one of three major growth fields for the 21st Century. 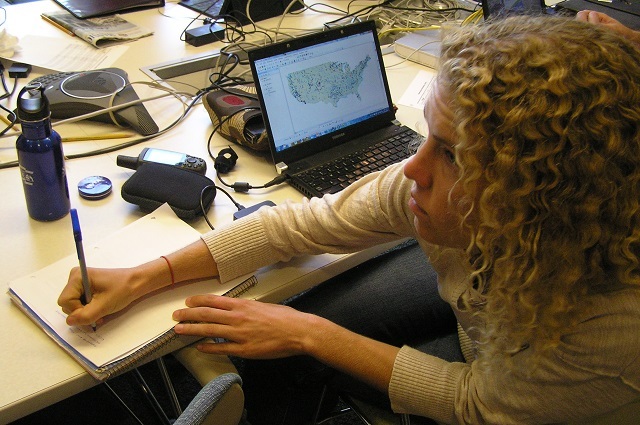 The use of GIS and web mapping technologies builds skills in technology, organization, communication, critical thinking, and other skills needed by government agencies, the private sector, academia, and nonprofit organizations. 14. Help students to engage with the tools. The bulk of geotechnology training in secondary and university education over the past 20 years has been geared towards educators, rather than students. While this has the advantage of working with professionals who in turn could impact thousands of others, educators must realize that it is even more important for the students to learn how to use these tools. 15. Engage the research community. For educators and policymakers to be convinced that it is worth their time and finances to invest in geographic perspectives, geography content, and geospatial technologies for teaching and learning, a research base needs to be solidly developed. While some studies have investigated the effectiveness and implementation of geographic perspectives, content, and skills, much remains to be studied. Research is needed in the development and evaluation of assessment instruments, and in the most effective strategies for teaching and learning with geospatial technologies, particularly web-based tools. 16. Don’t neglect the educational policymakers. To effect change in education, it is important that policymakers are convinced that teaching and learning geographic concepts, skills, and tools bring value, substance, and interest into education. They also need to be convinced that it will help them achieve their policy goals, including increased student performance, retention and graduation rates, critical thinking, and problem-solving ability. Because geographers are tasked to understand the whole world, we are well-suited to understand when connections exist between data and the implications. We are well-suited to separate the trivial from the important, to consider the implications of information on society, and counsel society on the interpretation of the data about people and the built and natural environment. And we are well suited to play a critical role in a geoliterate population–a population equipped with the right skills and perspective to best deal with the big issues the world is facing today.